Is the Hybrid Cloud Right for Your Law Firm? We’ve found that one of the biggest surprises new cloud adopters get is when we explain to them that there are different types of the cloud. You can have a public cloud, a private cloud, a pure cloud, but there is also something called the hybrid cloud. People always want to know about the hybrid cloud! A hybrid cloud enables you to put certain pieces of your existing IT infrastructure in the cloud, while the remainder stays on premise. This gives you the ability to enjoy the costs savings and benefits of cloud computing where it makes the most sense without the risk of being out of compliance if you are in a highly regulated industry. This option allows law firms to enjoy almost all of the benefits a cloud provider bestows, but also adds a security net in case something catastrophic happens to the cloud provider’s data center, such as an outage or natural disaster. In a hybrid cloud, much of your most critical applications and data will remain on premises, so you can keep working if your cloud provider is out of commission. Another “flavor” of cloud, such as the pure cloud, means that your firm is much more dependent on the cloud provider. Obviously, law firms can’t afford to be in the dark for any amount of time, so the hybrid cloud option makes a lot of sense. However, this means that law firms that choose to use the hybrid cloud must make sure its in-house IT security is as strong as possible. Law firms are a target for hackers and other cyber criminals, and that doesn’t change once they start working with a cloud provider, so their critical applications and data that remain on premises is still in danger of being stolen. While a hybrid cloud is proven to be a good option for law firms, it doesn’t need to be the end-all-be-all. Once you find a cloud provider you like and know you can trust, you might be better served committing fully to the cloud so you can unlock all the benefits of a cloud provider. With a hybrid cloud, you still need to be aware of your IT infrastructure and how your cyber security stacks up, in the pure cloud you can leave that to the cloud provider and focus entirely on your practice. This is not to say that a hybrid cloud isn’t a good long-term option, because it definitely is. A hybrid cloud simply means that while you still have direct control of your most important data, you still run the risk of it being compromised by a cybercriminal. 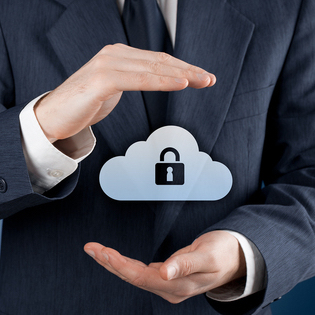 There may also be some legal reasons why a hybrid cloud is the better option for law firms. Some states don’t allow firms to hold confidential data and information out of state, for instance. For more information on how the cloud, any cloud, can help your law firm, check out the TOSS C3 website or call us anytime at 1-888-884-8677.